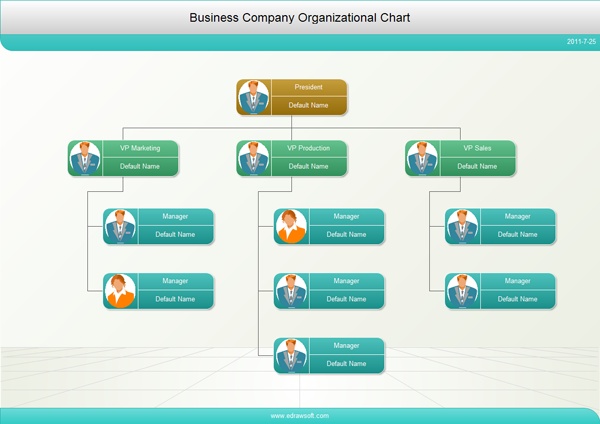 Lots of organization chart examples created by Edraw Organizational Chart Software, including photo organizational chart, company organizational chart etc. Nothing is left unclear when structural relationships are illustrated with an organizational chart created with Edraw - the ultimate organizational chart software. Use it to create organizational charts, visualize photo organizational chart, department organizational chart, family tree, staff organizational chart, etc. 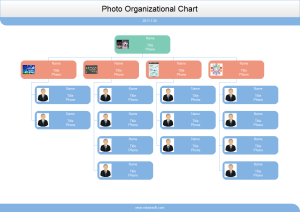 With Edraw Organizational Chart, you can create clear and comprehensive photo organizational charts with no prior experience. As you can see by studying the sample organizational chart below, these types of charts are the ideal way to illustrate the inner structure and hierarchy of a business or any other type of organization. 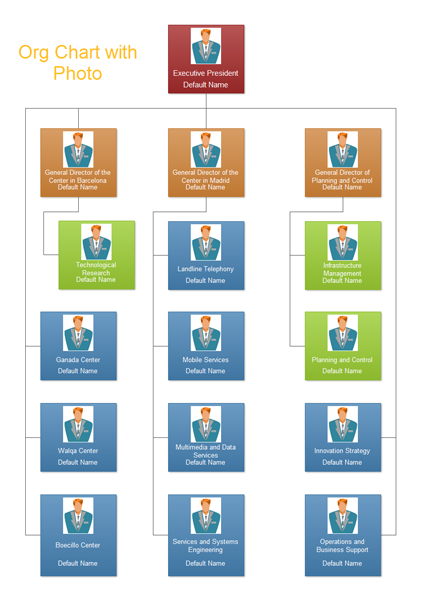 Professional Photo Organizational Chart Examples Created by Edraw! Including pictures of employees in your organization charts can help to humanize your corporate intranet site, help new employees get acquainted, and assist far-flung virtual teams to get a sense of who their co-workers are. By using the improved organization chart shapes in Edraw, you can easily add pictures to your organizational charts. 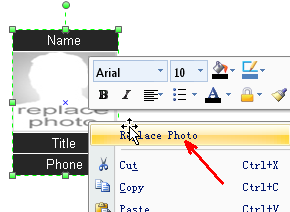 Click the Replace Photo item in the context menu after you select an organizational chart shape. The followings are some samples of photo organizational charts. Edraw is the smartest way to chart and manage the structure of any company. The shapes in your org chart can display basic information such as name and title, or details such as department and cost center. You can even add pictures to the org chart shapes. Use this template to quickly make a photo organizational chart of your company and insert all staff's photos.